Cassinga Day is a public holiday in Namibia that commemorates the Battle of Cassinga, also known as Cassinga Massacre or Cassinga Raid, that occurred on May 4, 1978, during the South Africa Border War. The South Africa Border War was closely intertwined with the Namibian War of Independence and the Angolan Civil War. It began in 1966 with a clash between the South African Police and the South West Africa People's Organization (SWAPO). 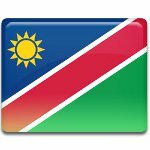 SWAPO was a Namibian national liberation movement. Cassinga was an abandoned town in Angola used by SWAPO as a military base and refugee camp. On May 4, 1978, it was attacked by the South African air force. The attack resulted in deaths of about 600 people, both combatants and civilians. Among the victims there were many children, teenagers and women. The Battle of Cassinga has been the subject of heated debate for a long time, because it is unclear whether Cassinga was a military camp, a refugee camp or both, and consequently whether the raid was a military operation or a massacre of innocent civilians. Cassinga Day in Namibia is marked with solemn ceremonies that takes place at the Heroes' Acre, the country's official war memorial located outside the capital of Windhoek. These ceremonies are attended by the current President of Namibia and other important political figures.